Sunday, the 2nd of June, 9:30am start. 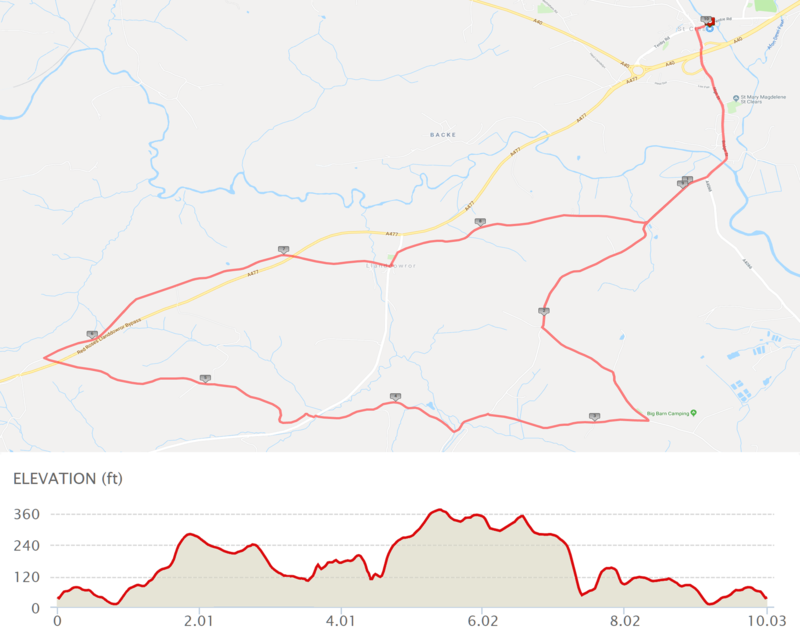 The run starts and finishes in the small Welsh town of St. Clears located in scenic Carmarthenhire, which itself a stones through away from the stunnig Pembrokeshire coastline. The run will start and finish in the Coach & Horses Surgery car park on Pentre Rd, St Clears. Prizes will be awarded to the first 3 male and female runners. time to arrive and register. Please be aware that parking is limited, so please try and share a lifts where possible. Pre-entries close on the 29th of May 2019. Your number needs to be collected on the day of the event, no numbers will be sent out prior to the event..
Vital statistics for the course. You can't get much for £8 these days, but you can enter the TROTs St Clears 10 Mile! If you have any questions regarding this event please feel free to contact us and we will try and get back to you as soon as possible.